At Slim Media and Marketing we strive to keep your business on the cutting edge. 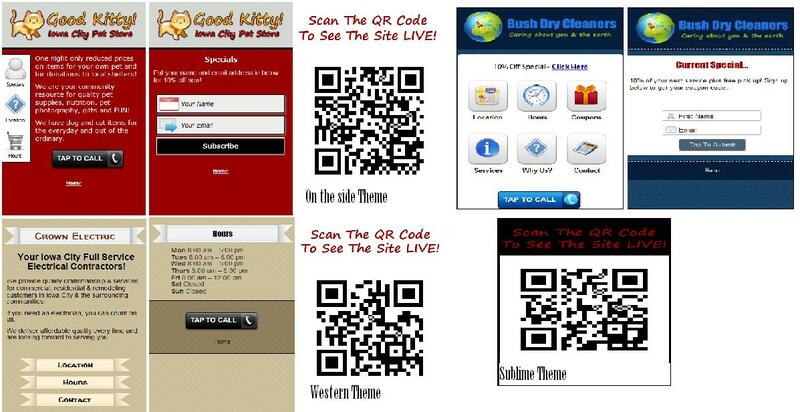 This is why we offer Mobile Website design. Making your business website easier to navigate using today’s mobile devices (mobile phones, ipads, iphones and tablets). They say “There’s an app for that” is there one for your business?? Well let us give you a FREE demo of an App for your business. Increase sales and stay in touch with customers with a mobile app. When you run a special or add a new feature, menu item or sale how do you contact that loyal customer with your money in their pocket? With the app you can send it directly to their mobile device. What a great ROI!! There are millions of Mobile Applications let us develop one that will connect you with your customers. Reward your customers for coming to your business and spending there time and money with you. Increase your EXPOSURE to generate more TRAFFIC which in turn increases your CASH FLOW!! Request a free quote today for any of our application marketing services. How can Affiliate Marketing help me? simple listing on How can Affiliate Marketing help me? HAGES on How can Affiliate Marketing help me?